It sure was a challenging opportunity for 22-year-old G. V. Prakash Kumar to compose music for a Rajinikanth film. The expectations and hype were sky-high and he has lived up to them and has not disappointed the millions of Rajinikanth fans across the globe. The young wizard has lived up to all expectations and was showered appreciation by Rajinikanth himself and his die-hard fans as well. A visibly impressed Rajini called Prakash the right mix of Rahman and Ilayaraja. The album has five tracks which are predominantly hip-hop and groovy singing peans of Rajinikanth. Reminding one of Rahman in all his compositions, Prakash stuns everyone with his quality orchestration. His choice of singers (Shankar Mahadevan, Shreya Ghoshal and Daler Mehndi) shows that he hold mastery over his music in spite of his young age. A soft melody in Chaaral and Sollamma, nice peppy tunes for Cinema Cinema, Perinba Pechukara and Om Zarare sum up the album. But the varied instrumentation and the catchy interludes and rhythm makes all the difference. Prakash proved his skills in 'Veyyil' and ‘Kireedom’ before. He seems to have come more polished and skilled in ‘Kuselan’. Not succumbing to any pressure, Prakash has generated electrifying stuff in ‘Kuselan’ sure to delight all music-lovers. It is a song glorifying 75 years of Tamil cinema. It is penned by Valee, who had been part of the evolution of Tamil cinema. 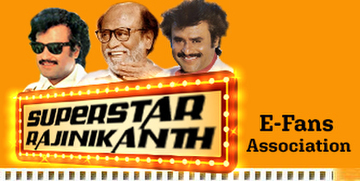 A major portion of the number sings peans of Rajinikanth, the actor himself. Prakash's pacy tune coupled with good use of stringed instruments strikes the right chord with listeners. No doubt the song will make Rajini fans ecstatic. Shankar Mahadevan's energy is amazing. His open-throated voice impresses one and all. A soft melody with less instrumentation. The orchestration and Shreya's voice are the major highlights of the album. Shreya Ghosal's diction of difficult Tamil words is good. The fact of music not dominating the lyrics provides solace to the listeners. A lovable number for those who have a heart for soft melodies. This song relishes and regales Rajini fans. The song is for the die-hard Rajnikanth fans sung by energetic Daler Mehandi in the company of Sadhana Sargam and Chitra. A groovy number with decent rhythmic beats, Daler's magnetic voice catches admiration from music-lovers. But what spoils the party is poor Tamil diction by Daler. Sadhana Sargam and Chitra are as usual impressive. Prakash has proved that he has the mastery over peppy numbers. His shrewd interludes and catchy harmony deserve special mention. One more song heaping praises on Rajinikanth. Kailash's voice is tailor-made in the company of Prasanna. A catchy tune with peppy beats, the song sticks to our heart while listening the very first time itself. Reminds one of Prakash's earlier compositions Veyyilodu Vilayadi in ‘Veyyil’. But takes the turn as it progresses to sound similar to the mass songs of Rajinikanth. The song which heaps laurels on Rajinikanth would be cherished by his fans. A melodious song that sounds pleasant and sweet. The simple lyrics and soft instrumentation does the trick. The piano interlude by Prakash shows his maturity as a music composer. Hariharan's voice cool as a cucumber coupled with Sujatha's sweet rendition takes the song on a higher plane. This is a song that will find its place in audio charts for a long time. All said and done, Prakash has tried his best to satisfy Rajini's fans and in the process has come out with something very different. An awesome album sure to rock everyone.